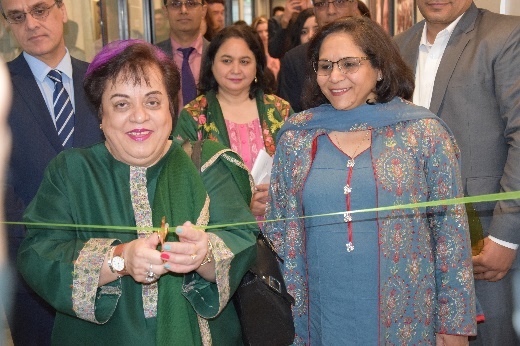 The Federal Minister for Human Rights Dr. Shireen Mazari inaugurated Tourist Information Corner for Pakistan in Brussels, today. The Corner has been set up by the Embassy of Pakistan Brussels in collaboration with Tribes Inspiring Work Places. Embassy of Pakistan in Brussels is the first embassy of Pakistan abroad to take initiative for promoting tourist potential in Pakistan. 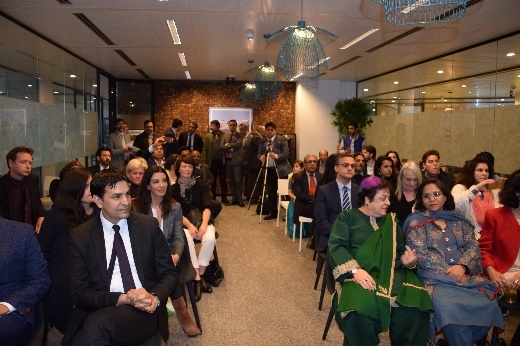 The launch was attended by a large number of Belgian and European participants including senior politicians, academics, travel writers, tour operators, media persons, and officials of European Commission, External Action Service and diplomats from various embassies based in Brussels. 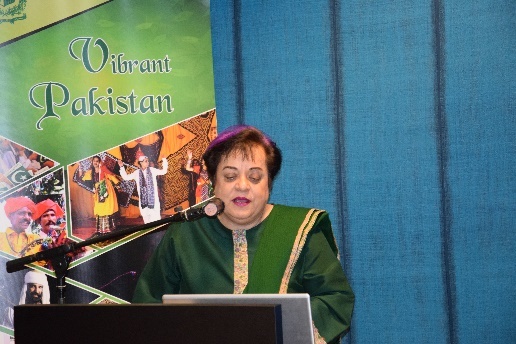 In her address Dr. Mazari highlighted significance of tourism in strengthening economy of the country and providing employment to young people. She highlighted present government’s commitment for promotion of sustainable tourism. She informed that implementation of liberal visa policy and abolition of restrictions to go to several areas in the Northern part which required formal approval previously were the steps forward for convenience and facilitation for visits of tourists to Pakistan. The Minister said Pakistan’s image was being altered from that of a security state adding that Pakistan had suffered after 9/11in many ways which also effected its tourism. Dr. Mazari said that with its focus on conversation of environment, present government wanted to expand tourism in Pakistan in such a way that an environment remains protected. “No doubt Northern Areas of Pakistan remain un-match able in terms of spectacular mountains and glaciers, but Southern parts of Pakistan with serene beaches and vast deserts were equally charming” Dr. Mazari added. She appreciated the effort of Embassy of Pakistan in Brussels for taking up this initiative for the promotion of tourism in Pakistan. 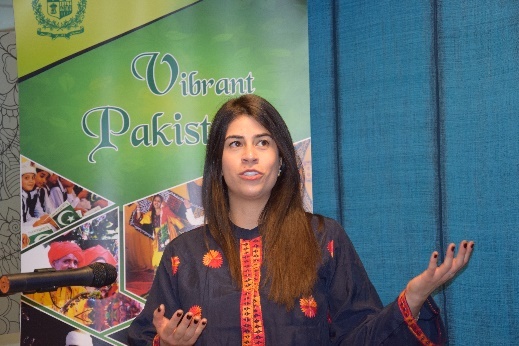 She said that it was important to dispel mis- perceptions about Pakistan by showcasing its rich and diverse cultural heritage and unmatchable scenic beauty. She added that Pakistan is blessed with all the geographical features from snow clad high mountains to beautiful beaches and lush green planes of Punjab to big deserts like Thar and Cholistan. On this occasion the first ever Belgian mountaineer to have scaled K2 Mr. Paul Hegge shared his experience of visiting Pakistan and climbing world’s second highest but most difficult peak. Mr. Hegge scaled K2 in 2018 on 21st July which is also the national day of Belgium. Mr. Hegge screened glimpses from the documentary being produced by him on his K2 expedition. He highlighted the potential and diversity of tourism in Pakistan. Describing the spectacular mountains of Pakistan he said the second highest peak of the world the K2 surrounded by eight highest peaks including 4 peaks above 8000 meters and several biggest glaciers of the world offer a unique experience to climbers. He praised the diversity of Pakistan, and warmth of people and the culture of helping foreigners. 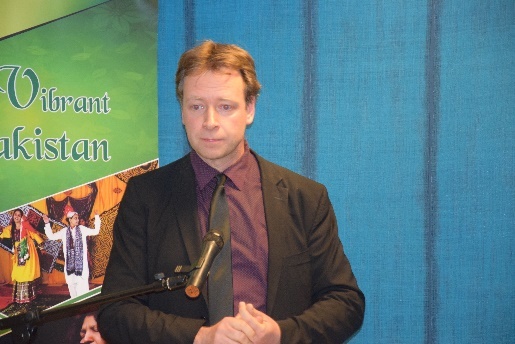 Photo journalist Mr. Benoit Sneessens who visited Hunza 6 times for photography, made a presentation on his photographs. Sharing his experience he praised the hospitality and friendly manners of People of Pakistan. 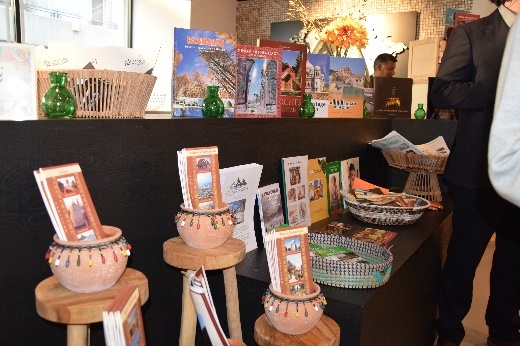 The information corner features books and pamphlets on tourist attractions in Pakistan. The Tribes Inspiring Work Places is an organization that sets up offices for renting out. Each office complex is set up on a tribe in any part of the world. Last year office complex on theme of Hunza was launched by the organization, which features various aspects of people of Hunza in Pakistan. 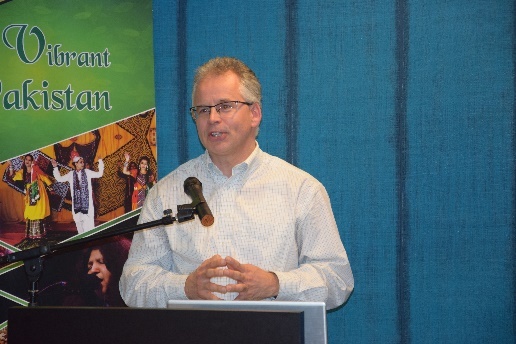 Several documentaries about various aspects of tourism in Pakistan including testimonies of foreign travellers were also screened on the occasion.